AiPT! 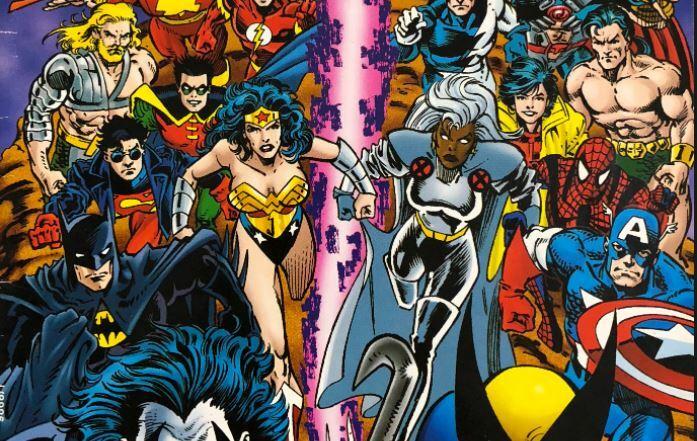 Podcast Episode 22: Marvel Vs. DC! – AiPT! Jason Segarra and David Hildebrand are joined once again by Cosplay Editor JJ Travers, Editor-At-Large Chris Hassan and contributor/host of AiPT!’s 5 in 5 Connor Christiansen. We are a day late! All apologies as Dave has been under the weather, but he powers through this episode. You have shown us that you love our debates! So, this week, Connor and JJ debate match-ups from the Marvel and DC universes. Connor is on the side of Marvel, JJ is on the side of DC. Jason, Dave and Chris are the judges as they throw out random pairings for Connor and JJ to debate. We also have the weekly picks. And Connor, JJ, and Chris have to defend their poor taste. So sit back and enjoy the latest AiPT! Podcast!